Finished Marcus Luttrell's "Lone Survivor." Was pretty good. I'd like to read this book too ("Our Thoughts Determine Our Lives"). The Elder looks like such a saintly, gentle person. "It is a strange thing: Dozens of times I have been asked by patients or acquaintances: 'Dr. Peck, why is there evil in the world?' Yet no one ever asked me in all these years: 'Why is there good in the world?' It is as if we automatically assume that this is a naturally good world that has somehow been contaminated by evil. In terms of what we know of science, however, it is actually easier to explain evil. That things decay is quite explainable in accord with the natural laws of physics. That life should evolve into more and more complex forms is not so easily understandable. That children generally lie and cheat and steal is routinely observable. The fact that they sometimes grow up to become truly honest adults is what seems the more remarkable. Laziness is more the rule than diligence. If we seriously think about it, it probably makes more sense to assume this is a naturally evil world that has somehow been mysteriously 'contaminated' by goodness, rather than the other way around. The mystery of goodness is even greater than the mystery of evil." "While science needs those innovators who will champion a single new model as the most advanced understanding, the patient who seeks to be understood as wholly as possible would be well advised to seek a therapist capable of approaching the mystery of the human soul from all angles. Science has not yet, however, become exaclty broad-minded." "In the face of such holy mystery it is best we remember to walk with the kind of care that is born both of fear and love." "The battle to heal human evil always begins at home. And self-purification will always be our greatest weapon." Since he first heralded our era of environmental collapse in 1989's The End of Nature, Bill McKibben has raised a series of eloquent alarms. In Eaarth, he leads readers to the devastatingly comprehensive conclusion that we no longer inhabit the world in which we've flourished for most of human history: we've passed the tipping point for dramatic climate change, and even if we could stop emissions yesterday, our world will keep warming, triggering more extreme storms, droughts, and other erratic catastrophes, for centuries to come. This is not just our grandchildren's problem, or our children's--we're living through the effects of climate change now, and it's time for us to get creative about our survival. McKibben pulls no punches, and swaths of this book can feel bleak, but his dry wit and pragmatic optimism refuse to yield to despair. Focusing our attention on inspiring communities of "functional independence" arising around the world, he offers galvanizing possibilities for keeping our humanity intact as the world we've known breaks down. Finishing "David Copperfield," then on to "Don Quixote." I was just reading the LXX Apostolic Bible, being mesmerized by the difference of the translation of the Proverbs. If you wish, you can check it out and download it. I don't even know too much about it. If anybody could tell me what they think about the Apostolic Bible, it would be much appreciated. Thanks. The Old Testament Apostolic Bible seems to me to be a much more accurate translation than the KJV. I was reading Eternal Mysteries Beyond the Grave earlier. During such occupations, you should continually keep in mind the main goal — impressing the truth on yourself and awakening the spirit. If reading or discourse does not bring this about, then they are but idle itchings of the tongue and ears, or empty discussion. If it is done with intelligence, then the truths impress themselves and rouse the spirit, and one thing aids the other. But if the reading or discourse digresses from the proper image, then there is neither one nor the other — truth is stuffed into the head like sand, and the spirit becomes cold and hard, smokes over and puffs up. Impressing the spirit is not the same as searching for it. This requires only that you clarify what the truth is, and hold it in your mind until they bond together. Let there be no deductions or limitations — only the face of truth. The easiest method for this could lawfully be considered the following: the whole truth is in the catechesis. Every morning take the truth from it and clarify it to yourself, carry it in your mind and nourish yourself with it for as long as it feeds the soul — a day, two days or longer. Do the same thing with another truth, and continue thus to the end. This is a method that is easy and applicable to everyone. Those who do not know how to read may ask for one truth and proceed from there. They are very creative paragraphs, but I don't agree with some of those statements. It sounds like a scientist or a philosopher trying to explain what evil is. But the world is not evil, an evil will is evil. The world is corrupted, but Christ has renewed everything by His Blood. Humans are created good, men are not evil by nature. Everything is very good. Every creature of God is good and nothing is to be refused if it is eaten with Faith in Jesus Christ, as the Apostle says. It is the environment created by the evil will of evil minded men that make the world evil. Sure death makes it evil, but Christ has defeated death. Sin does not even exist, it is given existence when we bring the evil passions into action. Evil is like a shadow. It is like the absence of light. That is how the Fathers explained it. Was it not Adam and Eve, our first parents the one's who tried to convince God that they were not at fault when they disobeyed a direct commandment of God? They wanted to blame God and other things for their own sin and disobedience. I picked up a book at a used book store yesterday on my lunch break. "The Inner Journey, Views from the Christian Tradition" It's appears to be a collection or articles, or writings. Only recognize a few of the contributors, Fr. Thomas Keating, Bede Griffith (I know of his writings, contraversol ) Fr. Alexander Schmemann, Metropolitan( Bishop, at time of the article) Kallistos Ware, Fr. Thomas Hopke, Thomas Merton. There are many others I do not know. Anyone else read this book? There isn't much used books on Orthodoxy at the used stores I visit, this was only $4.00. Haven't started it yet. It is interesting that there is a True Orthodox Church of Greece. Who is the head of the True Orthodox Church and how does the True Orthodox Church relate to the other Orthodox Churches? There are quite a few True/Genuine traditionalist Orthodox groups in Greece. This forum is owned by an Orthodox Christian priest who is in the group headed by Archbp. Chrysostomos II (though they have two American bishops as well). Many of the True/Genuine groups consider the new calendarists or world Orthodoxy to be without grace, and have no communion with them; and they usually don't have communion with other traditionalists either, for various reasons. Some have a softer stance, and say that there might be grace among world Orthodoxy, while Met. 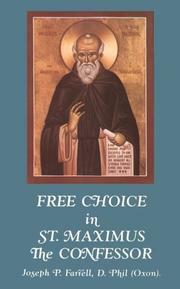 Cyprian's group believes that there is grace in world Orthodoxy. There are also True/Genuine Orthodox groups in Russia, America, etc. my SF lent me Eternal Mysyeries Beyond The Grave by Archimandrite Pateleimon. it's a jordanville book & its amazing. i'm reading that & Battlefield of the Mind by Joyce Meyer. Not very far into it, currently on the David Hume chapter. The fact that it is selected writings from over 40 different people makes each chapter completely different and quite interesting to go through. So I take it you'd recommend it (so far)? I've read a couple books like that, with one that I enjoyed (Atheism: A Reader) and one that I didn't like (Critiques of God: Making the Case Against Belief in God). EDIT--Just thought I'd mention, my favorite atheist book was Western Atheism: A Short History. I wish I could find an entire book on atheism/agnosticism in ancient times. I'd definitely recommend it so far. I have already read a bunch of the pieces that are included in some of the chapters latter on (mainly Shelley, Twain, Freud, Einstein, Russell, Sagan, Dennett, Dawkins, Rushdie, etc.) and am happy to see certain names and pieces pop up. I'd say it is a good deal better than Atheism: A Reader (especially Joshi's intro vs. Hitchens), and leagues ahead of Critiques of God. Sidetracked from David Copperfield and Don Quixote by Henryk Sienkiewicz's "With Fire and Sword," translated by W.S. Kuniczak. The Kuniczak translation of the Sienkiewicz trilogy appears to be sadly out of print. This is a travesty. The PDF wasn't designed very well, so the actually body of the book doesn't start until the 10th or 11th page. Hey, thanks! I'll give it a look online, and maybe just buy it in book form if I see that I want to read it all (I found it on Amazon.com). I am reading St Seraphim of Sarov A Spiritual Biography by Archimandrite Lazarus Moore, and also am reading Don Quixote. I've read the Biography by Archimandrite Lazarus Moore before and have been reading it in parts again happenstancedly during this Pascha. Beginning to Pray by Metropolitan ANTHONY. I am reading "The Herald Sun" by some Masonic-Judaic printing press ... its great light reading and some times a bit dramatic. I forgot to mention that I would really recommend this book (and the series) to anyone who is a fan of hard science fiction and the Mass Effect video game series. Bonobo Handshake by Vanessa Woods. How she ended up working with the Bonobo chimps, and the situation in the Congo. Reminds me that what I complain about here in America is not that bad compared with the war that went on(is still on) in that country and what people still go through,( regardless of their religious affiliation, or lack of) in this day and age. Right and Reasn: Ethics in Theory an Practice Based on teh Teachings of Aristotle and St. Thomas Aquinas - Fr. Austin Fagothey, S.J. John McGuckin's St. Cyril of Alexandria and the Christological Controversy. "World Made by Hand" by James Howard Kunstler, for the second time. Highly recommend it! That is a great book, depending on which edition you have. The early editions were excellent, but then I know that one of the post Vatican II editions reflecting subjective, relativistic, and existentialist ethics was not so good. Then after that, I think there was an improvement. Which edition (or year) are you recommending? It's out of print and so I had to go to kinkos! But yeah, it's an awesome book! I'm gonna have to read it 3 or 4 times in order to really understand it all. Reading The Gurus, the Young Man, and Elder Paisios now. It is really good. I've gotten though about a third of it. Looks like a good one. I saw it on Amazon.com recently.